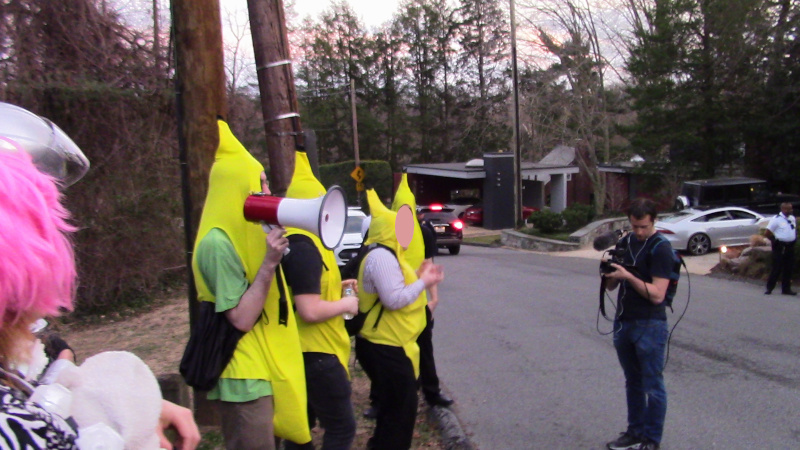 Update Apr 7:There is a report on Twitter that Horna announced hours before showtime that they were actually playing at the Filipino Multicultural Center in Oxen Hill, MD. 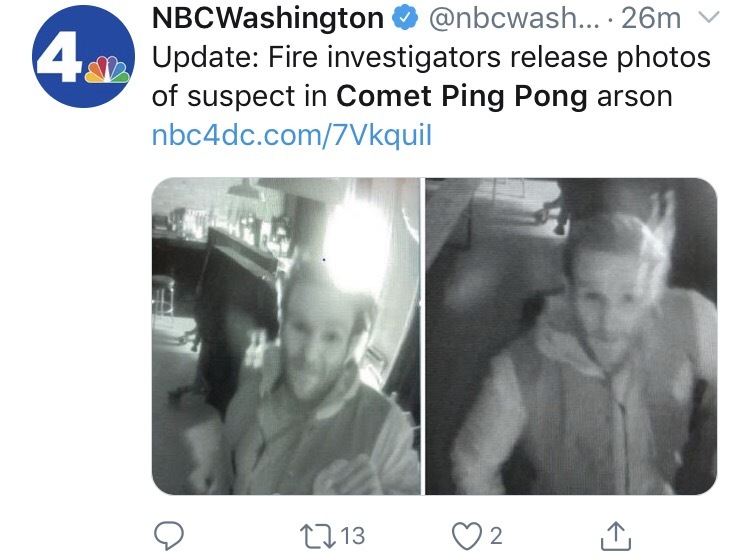 This was one of the venues that had previously cancelled. On the 17th of March, Brazil's new Fascist president Jail Bolsonaro came to DC to meet with his fellow Fascist Donald Trump. 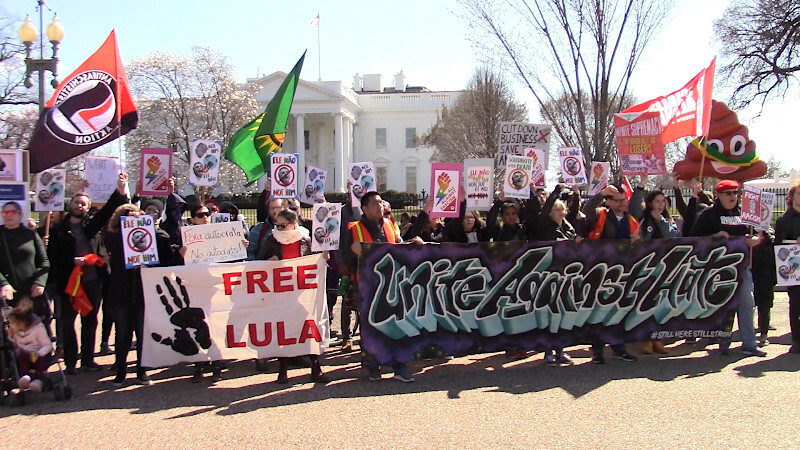 Protesters gathered in front of the White House to oppose everything he stands for: theft of Indigenous land, violence against people of color, women, and GLBTQ folks, and corporate supremacy. 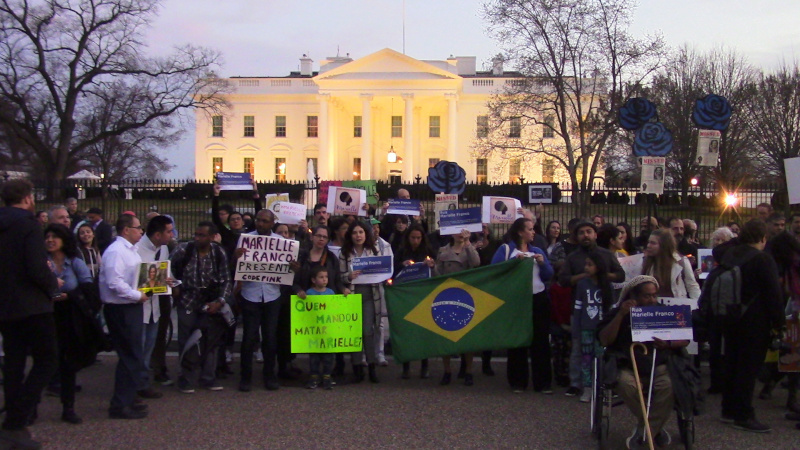 On March 14, 2019, murdered Brazilian human rights activists and Rio de Janeiro city council member Marielle Franco was remembered with with a vigil at the White House. Protesters condemned Brazil's fascist President Bolsonaro who among many other crimes once gave awards to the two military policemen who have been charged with Marielle's murder. Protesters also displayed copies of a street sign remembering her that pro-Bolsonaro politicians have been photographed holding broken pieces of while threatening to break other opponents of facism and white supremacy. Armed antifascist march celebrates after KKK and Nazi no-show at "Rock Stone Mountain"
Feb 2nd was supposed to be the major KKK/Nazi "Rock Stone Mountain" rally at Stone Mountain Park in GA. The mountain has figures of Confederate generals carved into it and is the reputed birthplace of the KKK. Antifascists had been mobilizing for months to counter this rally, while the Klan and Nazis expected total police support. The fash were denied a permit by Stone Mountain Park, and their organizing fell apart into disarray. 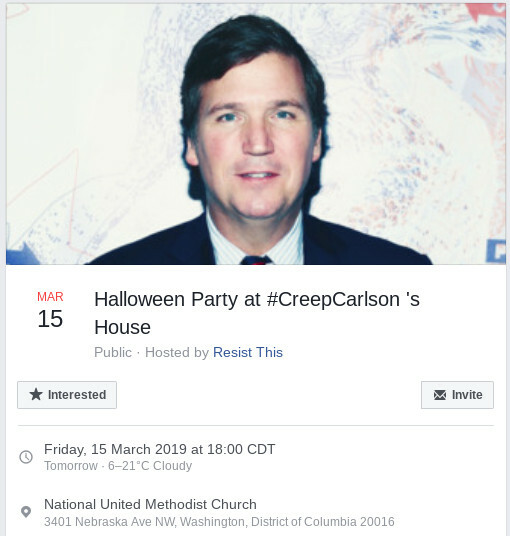 The event was cancelled. 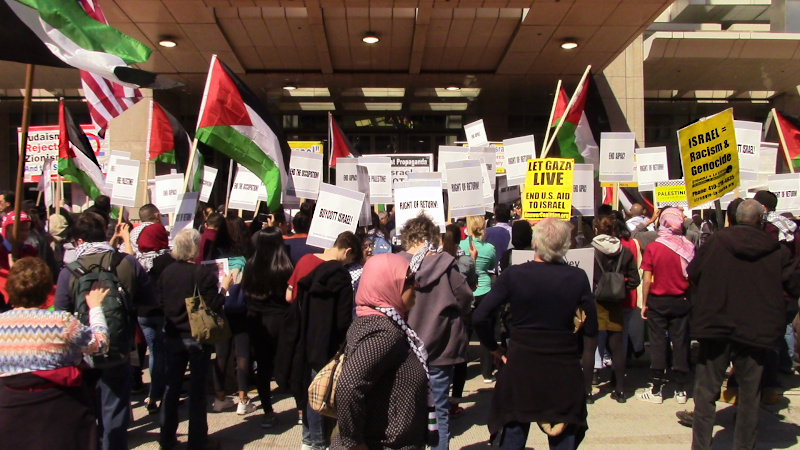 On Feb 2, not a single fascist was seen by antifascist activists guarding the area, so an antifa victory march was held. WE HAVE REPLACED YOU! 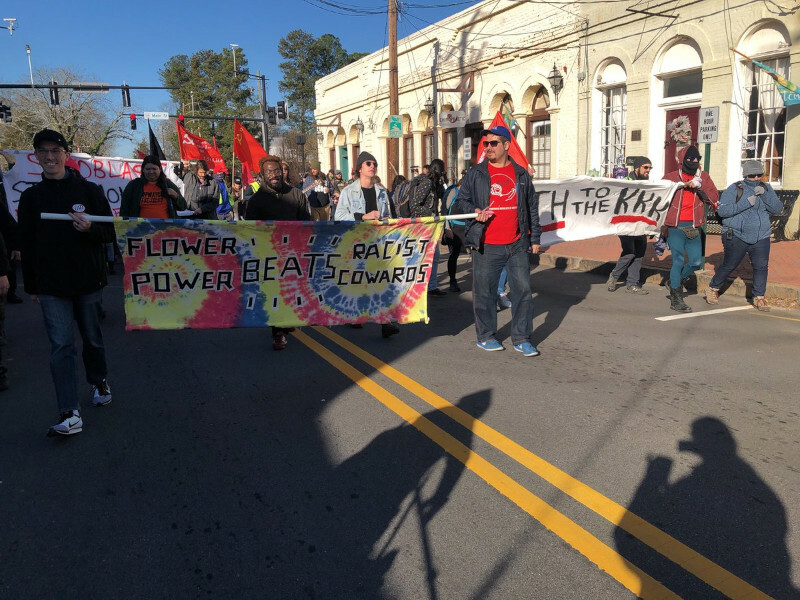 Read more about Armed antifascist march celebrates after KKK and Nazi no-show at "Rock Stone Mountain"
Read more about Reportback from Counterprotesting the Theocrat/Anti-Choice "March for Life"
Pay the Workers, Furlough Trump! 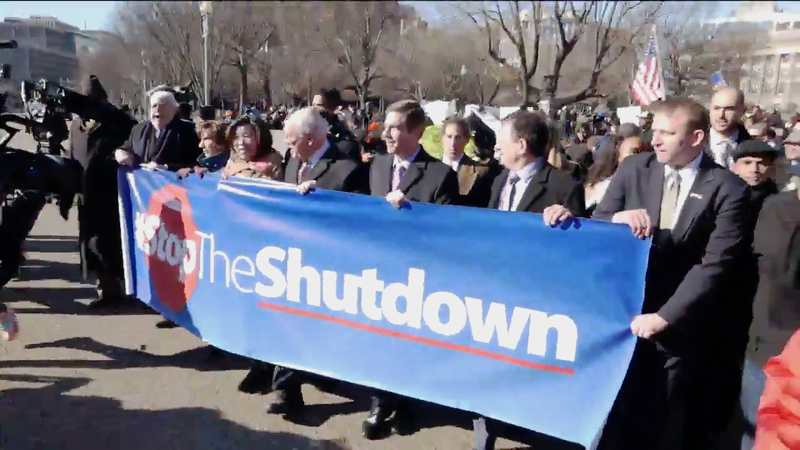 Labor leaders joined federal workers in a protest against the ongoing federal government shutdown. 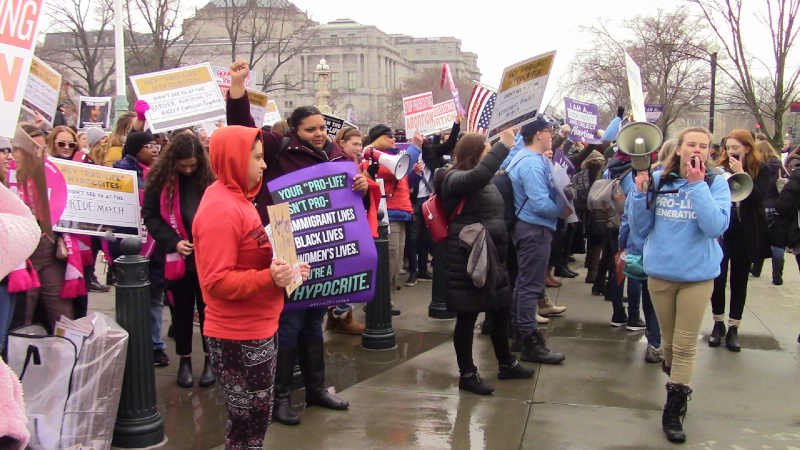 After giving speeches in front of the national AFL-CIO headquarters, demonstrators took their message directly to the White House just a block away. Read more about Pay the Workers, Furlough Trump!